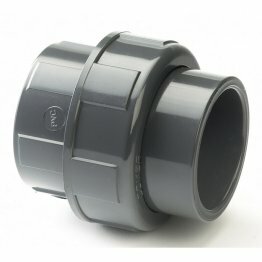 materials used for pressure pipework installations. Light in weight PVC-U has excellent resistance to chemicals and abrasion, is tasteless and odourless making it ideal for use with" potable water systems and most food products as its extremely smooth bore gives excellent flow characteristics without sediment or deposit. PVC-U is resistant to most solutions of acids, alkalis, salts and solvents. 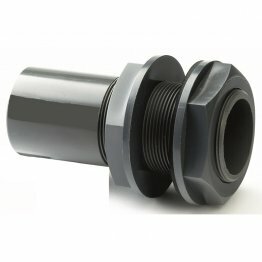 Connections can be made by either solvent cement or BSP threaded fittings. 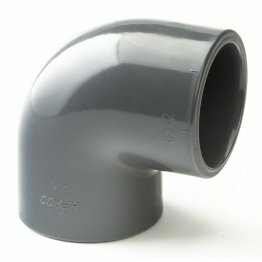 PVC-U systems are light, strong and simple to fit using a solvent cement. PVC-U is approved by the Water Research Advisory Scheme (WRAS) for use with potable water. 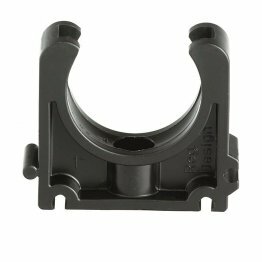 PVC-U is suitable for temperatures of 0 deg C to 60 degrees C.